Regis High School is an exclusive prep school for delinquent teenage boys from rich families, where a day without some sort of major prank going down is almost unheard of. Recent ringleader for many of these pranks is Billy Tepper (played well by later Lord of the Rings star Sean Astin), a teenager who has attended more schools than most boys have had fish fingers. His bad boy credentials are demonstrated early on by his organisation of the sale of black market alcohol disguised as mouthwash. This shady endeavour he gets punished for, which brings about his retaliation in the form of getting his mates to help him recreate the governor’s study outside in the gardens, which I have to say was rather clever and amusing. Meanwhile Columbian drug lord, and all round nasty piece of work, Lous Cali (Andrew Divoff), has travelled to the US to free his equally unpleasant father, Enrica, from a high security prison. When a high court judge doesn’t see his side of the argument he throws her out of a helicopter, from high up, thus showing his own bad boy credentials. Since ‘diplomacy’ hasn’t worked he decides to invade the Regis High School with his equally unpleasant band of goons in an attempt to capture the son of the federal judge presiding over his father’s trial. However, things don’t go according to plan since the FBI is ahead of the terrorists (for once) and have taken the boy out of the school already. This is a major set-back, but Cali decides to hold the whole school for ransom until his father is released. When it seems that the FBI and US Army, (now surrounding the school), are helpless to do much for the captives, especially once Enrica is killed in prison, Billy and his mates decide to put their own talents for mischief to good use with some interesting results. I first saw Toy Soldiers at its British premiere whilst attending one of the regular ‘Black Sunday’ film festival events back in the early nineties. It made a pleasant change from most of the rest of the film programme, which were predominantly horror flicks. Having said that, I have fond memories of attending the Black Sunday festivals since they got me into ‘Heroic Bloodshed’ films, via the Better Tomorrow movies and renewed my love of martial arts films via the equally awesome Eastern Condors, as well as introducing me to lots of weird and twisted horror films that I would probably have never seen otherwise, including the likes of Hot Love and Nekromantik, both directed by Jorg Buttgereit. I hadn’t actually seen Toy Soldiers since then and was keen to see what the intervening years had done to it, and to my opinion of the film. Well, the answer is a positive one, apart from some dodgy 80s fashions! Toy Soldiers has really stood the test of time as a great teenage-centric action film, partly due to a good script, but also due to Petrie’s excellent direction along with solid performances from a great cast, including the ever watchable R Lee Ermey, here playing yet another army officer type. 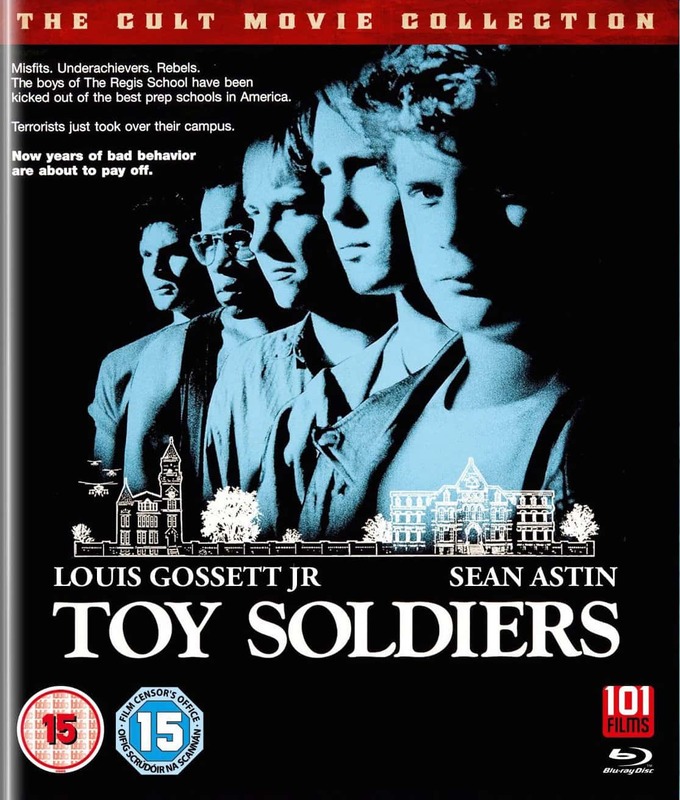 Based on a respected novel and shot at an excellent location (The Miller School of Albermarle, in actual fact) Toy Soldiers certainly punches above its weight at every level including the sheer number of gory blood squibs used! The central characters are likeable (and three dimensional), and the film’s pacing is just right for the material. Fans of 80s and 90s style of action filmmaking will all get a kick out of this, as will fans of the many well-loved actors who appear throughout its running time. Well done to 101 Films for releasing this under-rated gem, but I was disappointed with the lack of extras. Surely they could have rustled up a commentary or short documentary about the making of this interesting film. 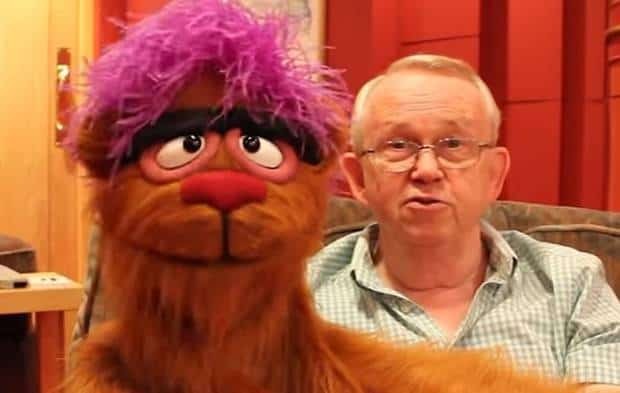 I, for one, would much rather watch a documentary on this kind of mid-budget film rather than for the latest over-rated blockbuster. Toy Soldiers is out now on DVD and Blu-Ray in the UK, released by 101 Films.